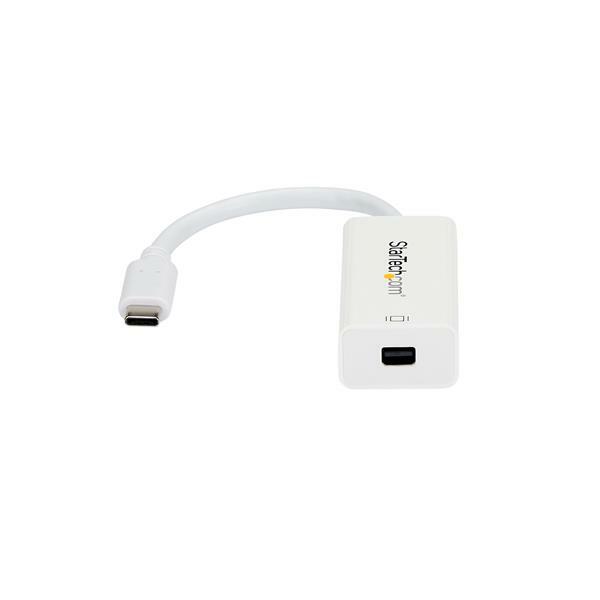 This USB Type-C to Mini DisplayPort adapter lets you output mini DisplayPort (mDP) video and audio from the USB Type-C port on your laptop or other device. 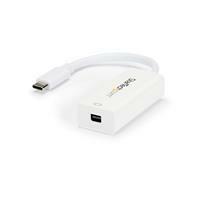 It works with USB 3.1 or Thunderbolt 3 Type-C devices that pass an mDP video signal, such as your MacBook Pro, Chromebook or 2018 iPad Pro. 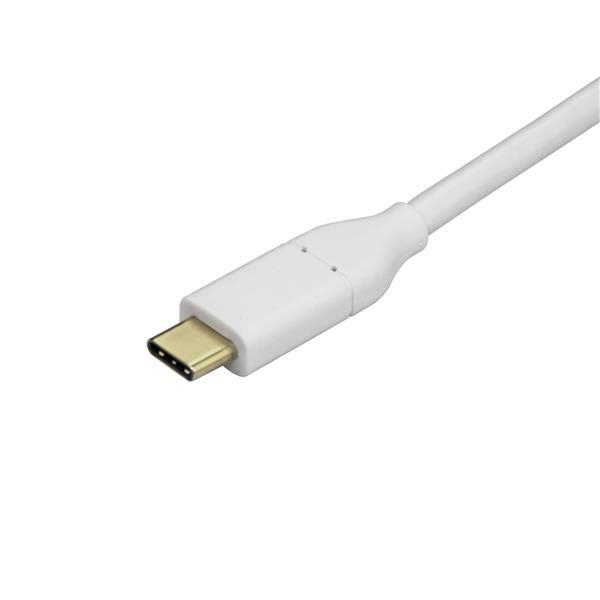 Harness the video capabilities that are built into your computer's USB-C connection, using the adapter to deliver the astonishing quality of UHD to your 4K 60Hz display. You can achieve an output resolution of up to 3840 x 2160p at 60Hz, perfect for high-resolution tasks such as viewing 4K video. The USB-C video adapter is backward compatible with 1080p monitors or displays, which makes it a great accessory for workspace applications. This adapter lets you use the versatile USB Type-C port on your portable device. USB-C is a reversible connector, enabling you to plug it into your device in any direction. The Thunderbolt 3 compatible adapter provides a hassle-free connection to your Windows or Mac based Thunderbolt 3 computer. The compact USB-C to mDP adapter is lightweight and fits perfectly in your laptop bag. Its portable design is ideal for BYOD (Bring Your Own Device) applications at the office or on the road. The CDP2MDP is backed by a 3-year StarTech.com warranty and free lifetime technical support. It works for monitors but not for AV systems like Extron, Crestron or regular TVs. So glad we found out about Startech. We had been searching for just the right cord/adapter to hook a centique to a Mac and no one anywhere seemed to know what we needed until we found out about startech!